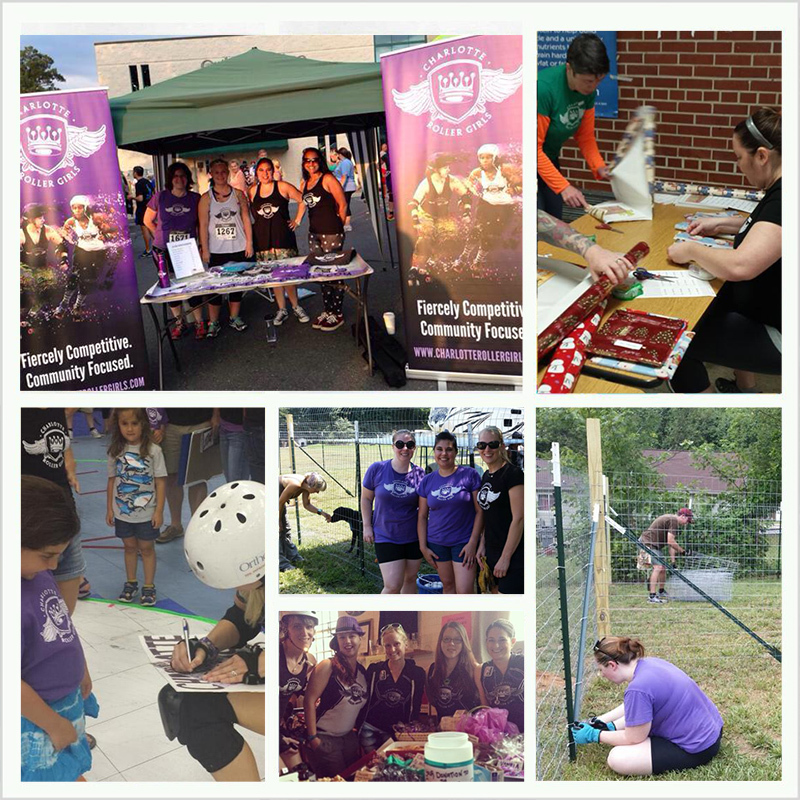 The Charlotte Roller Girls is a not-for-profit organization dedicating to empowering women through the sport of roller derby and enriching the Charlotte community. Our bout proceeds support a local charity partner each year and skaters volunteer their time to help make a difference. Any donation (any amount!) is greatly appreciated. Support from our fans can help us support the community at large. Can’t make a monetary donation right now? We also need volunteers to help with charity events, bout set up and other community projects!